Giving Tuesday | Canadians DO GOOD STUFF - GivingTuesday 2017 highlights! November 28th, 2017 we celebrated the 5th annual GivingTuesday, THE global day of giving. We're excited to report another record-breaking year, kick-starting the holiday giving season for Canadians and people around the world. In Canada, the day was celebrated by more than 6,000 partners, and millions of Canadians stepped-up to support their favourite causes. Be ready for GivingTuesday 2018: Become a partner today - it's free! Already a GivingTuesday partner? Login to update your profile. Globally, GivingTuesday was celebrated in more than 150 countries around the world, gaining 21.7 billion Twitter impresssions. Many, many inspiring stories of giving and generosity are a testament to the GivingTuesday impact and the myriad ways that Canadians are giving back. GivingTuesday continued to see growth in donations reported by CanadaHelps and other online donation platforms. Since GivingTuesday started in 2013, CanadaHelps has seen an increase of 468% in donations on the day. They also reported a 54% spike in new monthly donations compared to last year. In the USA, organizers reported a whopping $274 million was raised online in 24 hours, while acknowledging that offline donations still account for the majority of financial donations. CanadaHelps also reported that charities that actively participate in GivingTuesday benefit the most, with a 2051% increase in dollars donated on GivingTuesday compared to the same day the year before it started. COMMUNITY MOVEMENTS LEADING THE WAY! 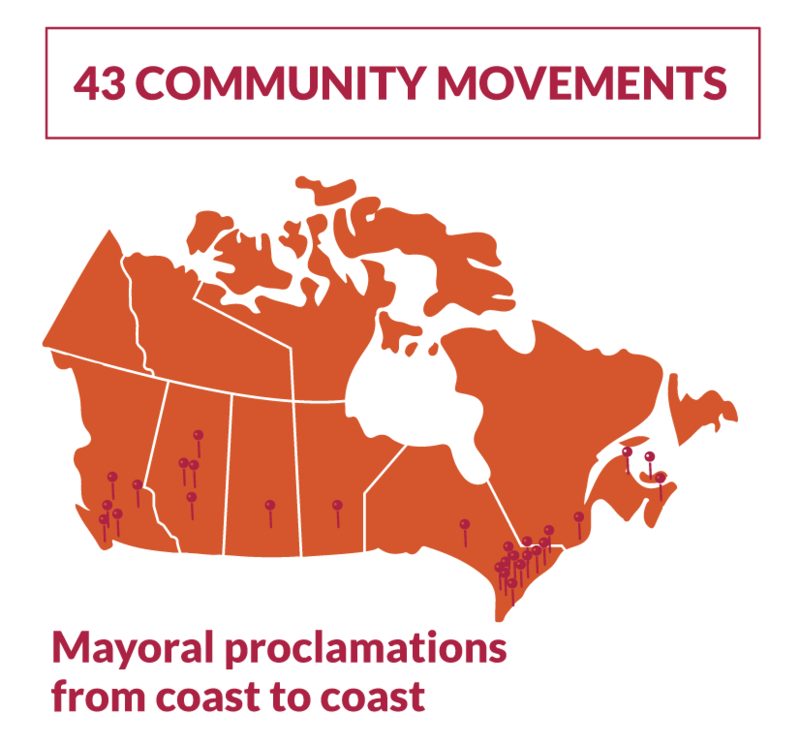 With 43 communities leading organized local movements from coast to coast, grassroots giving involving schools, businesses, charities, and everyday Canadians, is at an all-time high. To celebrate, mayors and provincial premiers from across the country proclaimed November 28th as GivingTuesday in their jurisdictions. Within each community, acts of kindness and giving were performed, including hugs for charity, blood donations, food and toy drives and much, much more. Since its inception in 2013, GivingTuesday has offered charities a strong start to the holiday giving season - but the generosity has only just begun! Many campaigns launched on November 28th and will run for the rest of the month, so let’s keep on giving Canada! The world has seen a particularly challenging year in 2017, from natural disasters to divisive global events. One way to reunite is by celebrating our shared values: empathy for the challenges of others and our desire to help those in need. Millions of simple acts of giving, all added together, amount to real impact. Mark your calendars - GivingTuesday is November 27th, 2018! Not a GivingTuesday partner yet? Join now for free and get all the tools and resources.